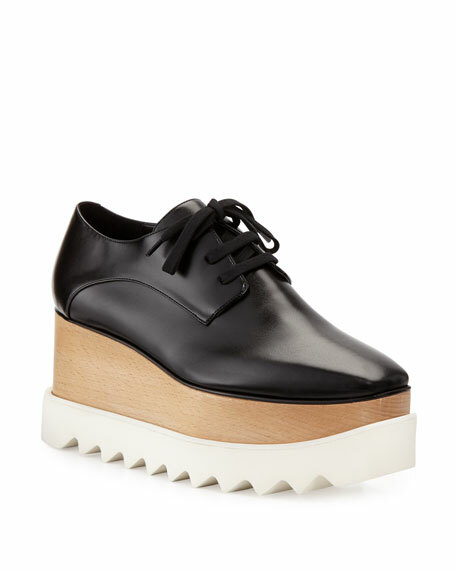 Stella McCartney vegan faux leather (polyurethane/polyester) oxford. 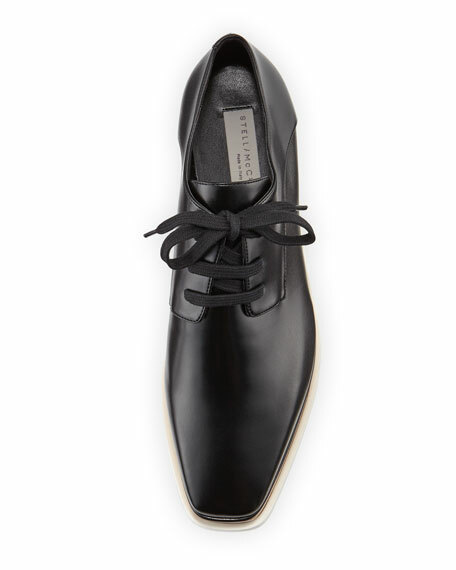 Cole Haan knit oxford sneaker with leather trim. Flat heel with slight platform. Reinforced wing-tip round toe. Lace-up vamp. Padded footbed. Rubber outsole. Grand.OS® technology for lightweight comfort, flexibility, and responsive cushioning. "ZeroGrand" is imported. Saint Laurent "Farrah" suede sandal. 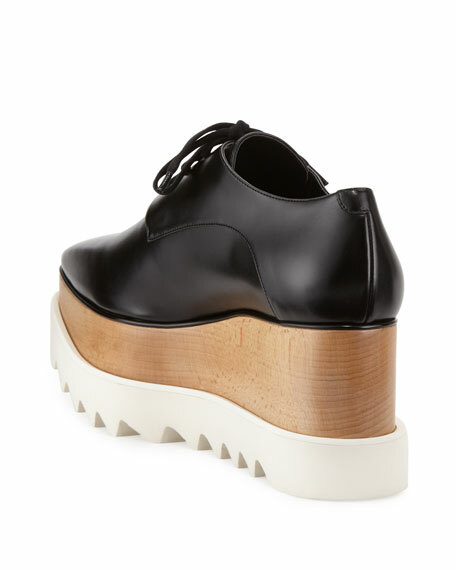 5" covered block heel; 2" stacked platform; 3" equiv. Crisscross toe straps. Adjustable ankle strap. Saint Laurent "Farrah" suede sandal. 5" covered block heel; 2" stacked platform; 3" equiv. Crisscross toe straps. Adjustable ankle strap. Cutout heel counter. Leather lining. Smooth outsole. Made in Italy. 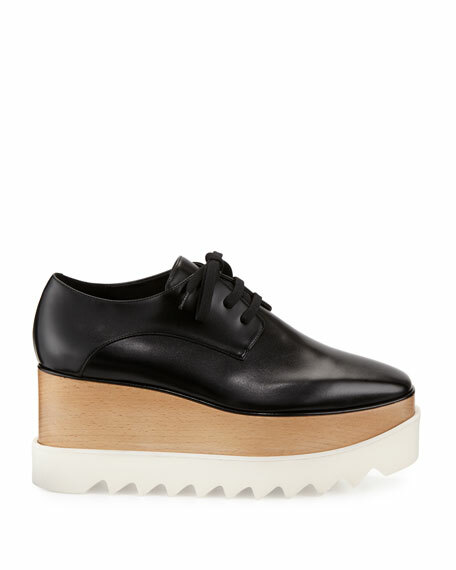 Fit note: Saint Laurent shoes run small. Please order a 1/2 size larger than you typically wear.